In conjunction with this event, attendees are welcome to dine in the Club Dining Room. Reservations are required; please call 212.255.7740 or e-mail info@salmagundi.org. Dining Room opens at 5:30PM, with last seating at 8:45PM. Patron’s Circle members, collectors, club members, and special guests are invited to preview the American Masters 2018 exhibition during this meet-and-greet reception with the exhibiting artists. This is your opportunity to experience the numerous works of art featured in this year’s American Masters before the Gala & Sale; ask questions about the work; meet the artists and other collectors from around the country, and more. This premiere event of American Masters — attended by exhibiting artists and collectors from around the country— is attendees’ first opportunity to purchase artwork through a ballot-box draw. At 7p.m., three Best of Show awards will be announced (Patrons’ Choice, Artists’ Choice, and the 10th Anniversary Curator’s Choice). At 7:30, winning ballots for art purchases will be drawn. Those wishing to have the first opportunity to purchase artworks must purchase either a ticket to attend the Gala & Sale or an absentee ballot. (See Gala & Sale tab for full details.) Cocktail reception with hors d'oeuvres and live jazz musicians. Space is limited, reserve your ticket today! Cocktail attire. Purchase tickets below. To celebrate American Masters 10th anniversary, we are honoring eight extraordinary exhibiting artists in their 80s and 90s. 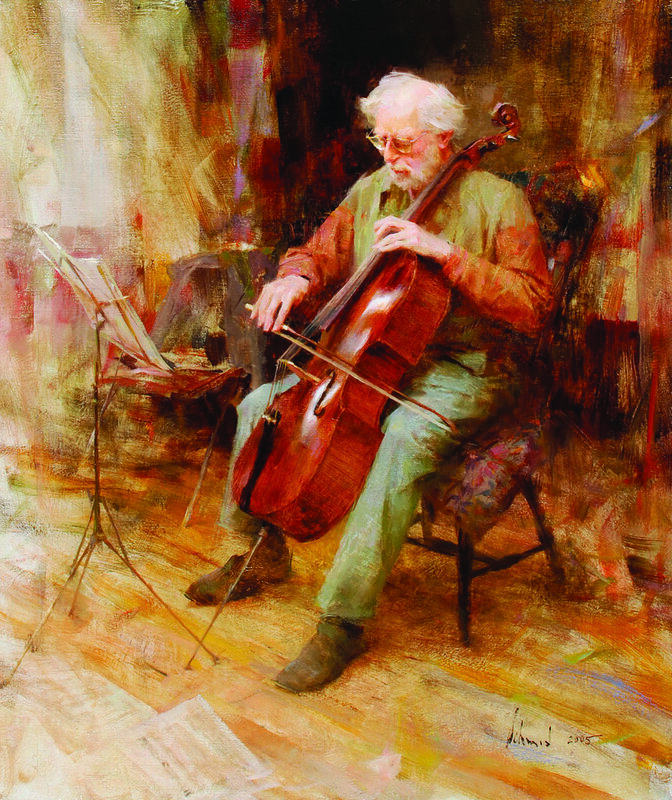 These artists have not only been important to American Masters but have also made innumerable contributions to the realist-art community: Douglas Allen, Daniel E. Greene, Max Ginsburg, Everett Raymond Kinstler, David A Leffel, Richard Schmid, Burton Silverman, and John Stobart will be interviewed by fellow artists and art professionals and will receive Lifetime Achievement awards.